The loveable Aussie has made a name for himself since being drafted by the Capitals organization in the 2014 NHL entry level draft. A native of Zurich, Switzerland, Siegenthaler was born to a Thai mother and Swiss father. Currently recording some impressive statistics with the Hershey Bears, 21-year-old Russian goaltender Ilya Samsonov is on the right path to success, following Braden Holtby and Pheonix Copley on the Caps' depth chart. Michal Kempny proved vital during the Caps Stanley Cup run, but prior to that had a quiet career. Nic Dowd's road to the NHL was a long one. 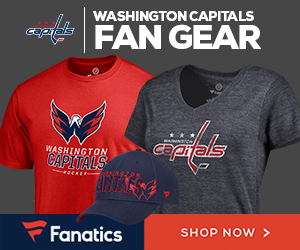 Capitals fans stretch far and wide across the world and in the Southern Hemisphere, and fans from Australia are making some noise, establishing the first Australian-based Capitals fan group. Already on an insane goal-scoring pace at 33 years old, Alex Ovechkin unwillingness to slow down shows that he's got a shot at toppling Wayne Gretzky's all-time goal record.